After the release of the 2018 Dodge Challenger SRT Demon, there was much talk about if it was NHRA-legal or not. Straight out of the factory the car could pull an ET of 9.65 seconds at 140 mph, which means dragstrip racing could potentially be out of the question. However, the reality is that you will be turned away from the dragstrip anytime soon. According to auto week.com they delve into the intricacies of a potential Dodge Demon hitting the dragstrip and what you will need to potentially race. A lot of what will be needed is down to safety precautions such as a full roll cage, but that doesn’t even apply to all the 3300 Demons ready to be released as one straight from the dealership with 91-octane gas will still not potentially break the time barrier to kicking all the safety precautions. Even with all the added Demon bonuses and running under 10 seconds, NHRA will not take away your car, but make sure all the modifications are in place the next time it may run. 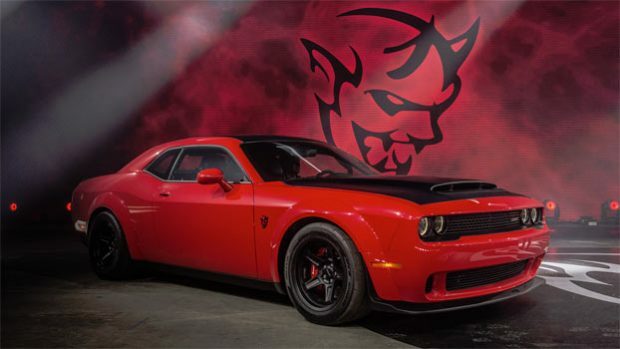 So, nothing is cut and dry when it comes to the Dodge Demon and if you can race it on the track. Next Story → Mustang Most Searched Collectable Car in U.S.